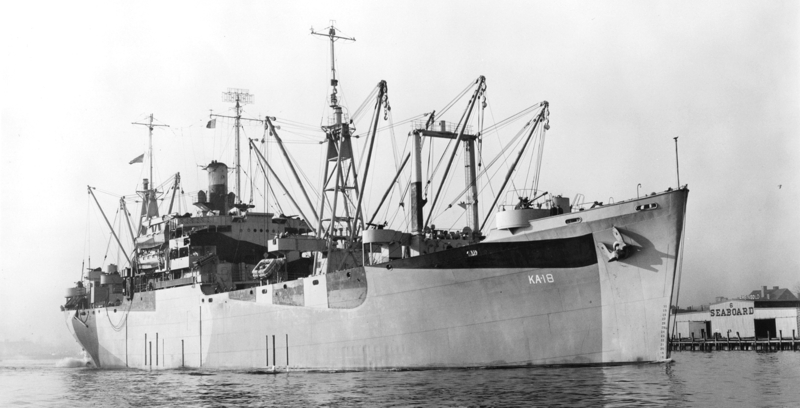 The attack cargo ship USS Cepheus (AKA-18) from the starboard bow at Norfolk on December 9, 1944, wearing camouflage 32/8T. The colors are dull black, ocean gray and light gray. Photo source: NARA BS 96757. USS Cepheus (AKA-18) again from the starboard stern on December 9, 1944, at Norfolk wearing camouflage 32/8T. Photo source: NARA BS 96759. USS Cepheus (AKA-18) again from the starboard broadside on December 9, 1944, at Norfolk wearing camouflage 32/8T. Photo source: NARA BS 96758. 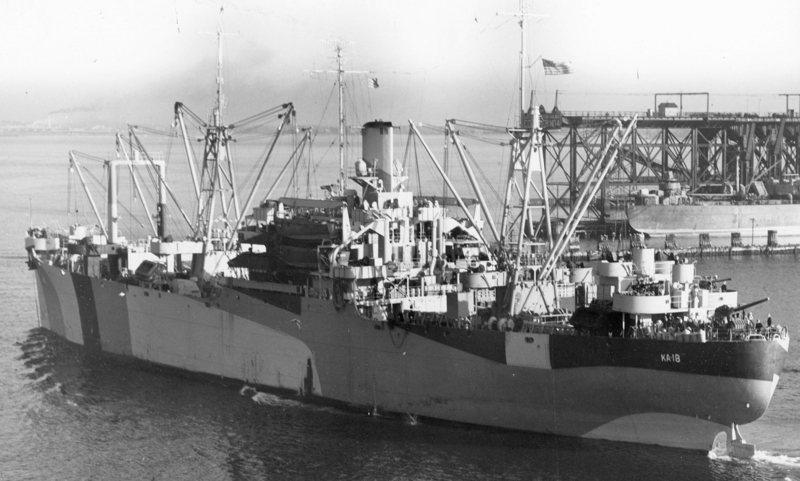 A port side view of USS Cepheus (AKA-18) again at Norfolk this time on December 11, 1944, wearing camouflage 32/8T. Photo source: NARA 80-G-294251.